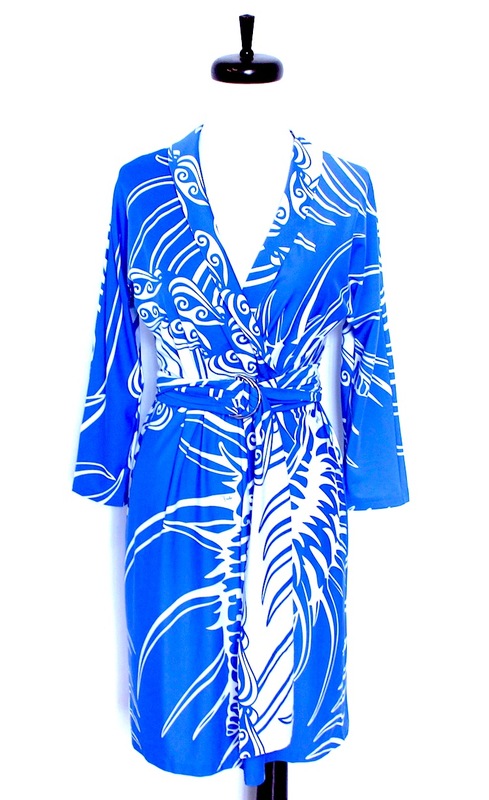 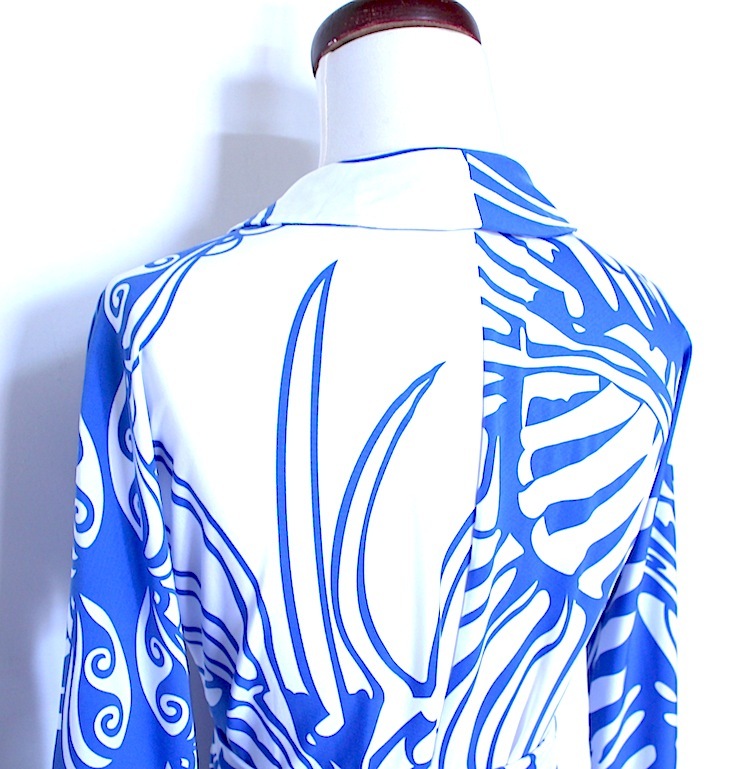 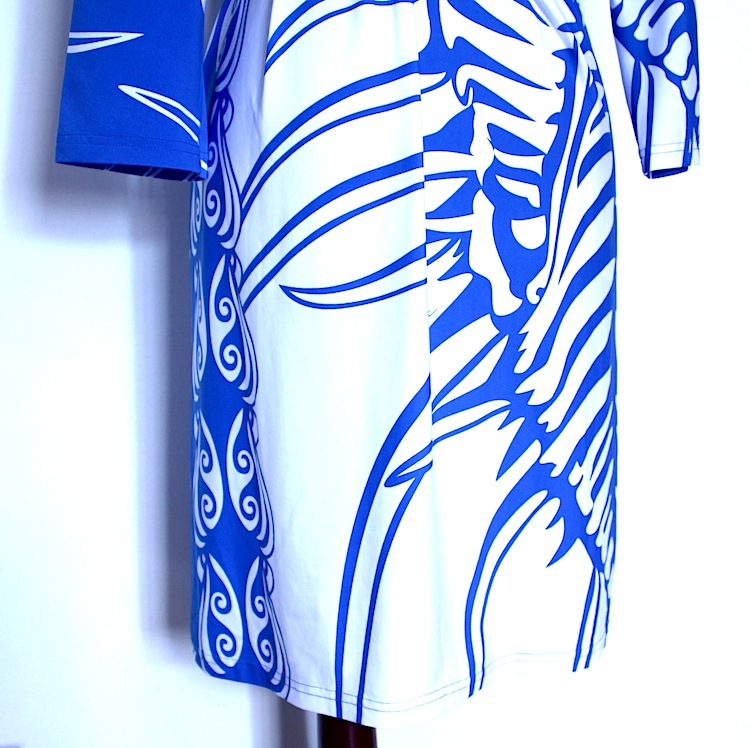 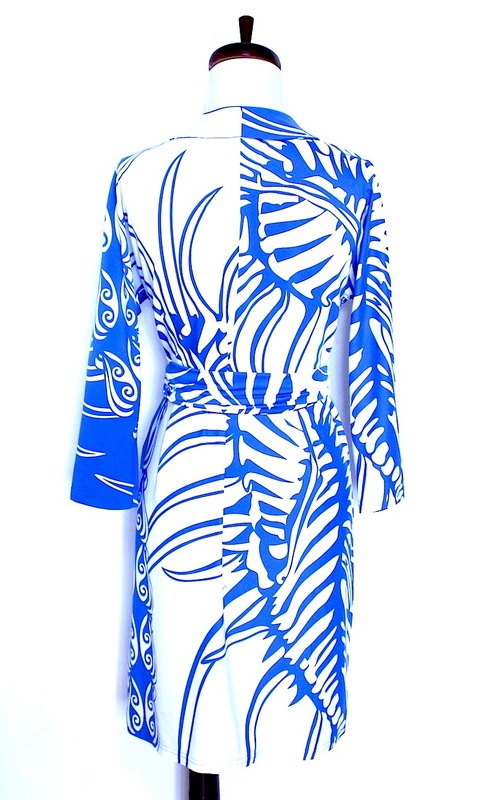 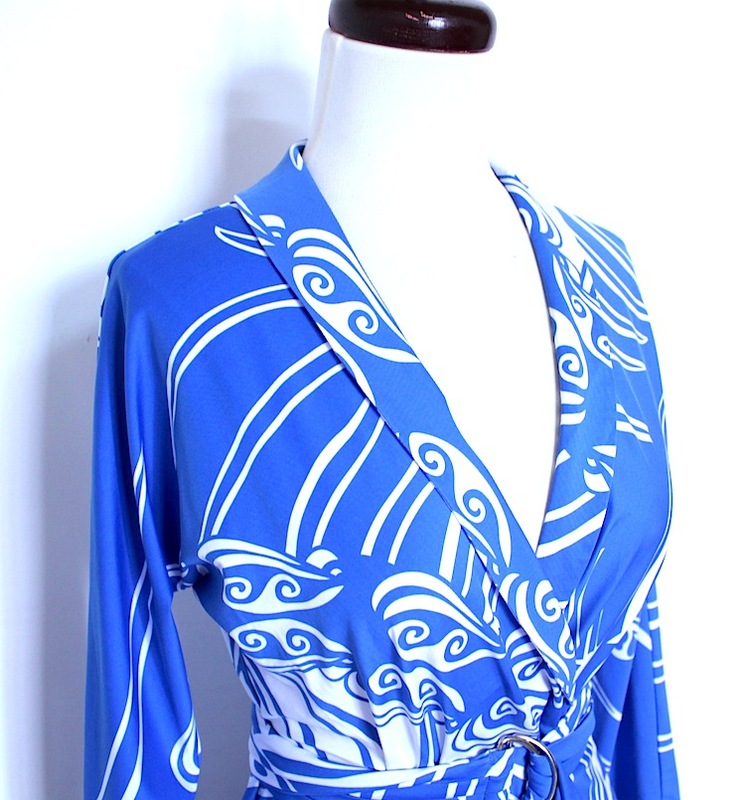 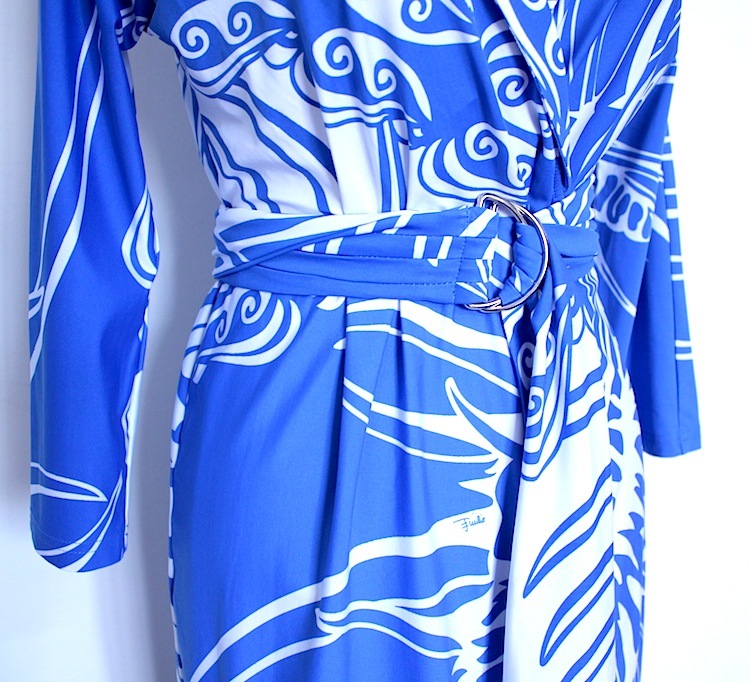 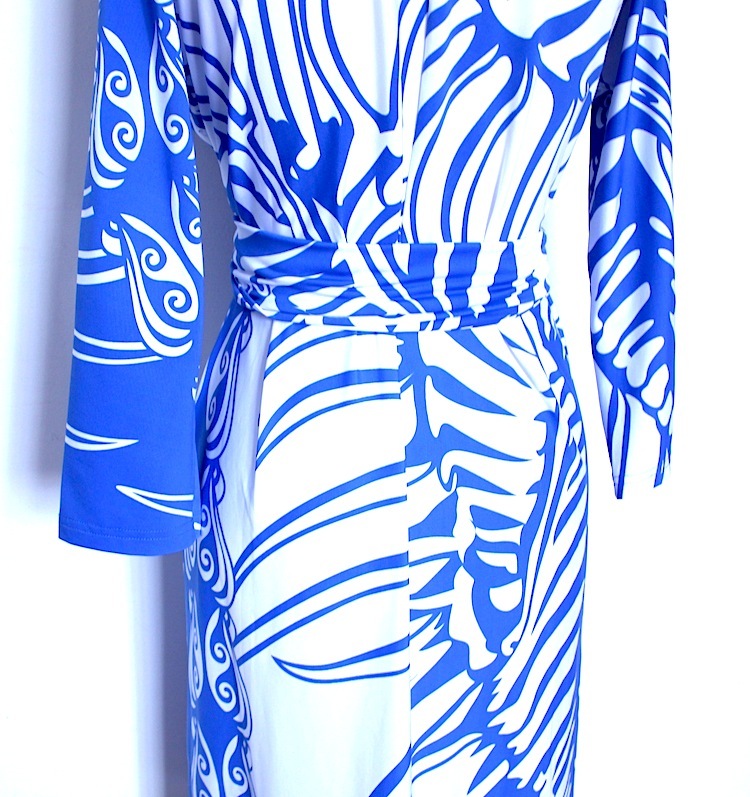 Blue/white felidhe print.Shawl collar.Three-quarter sleeves. 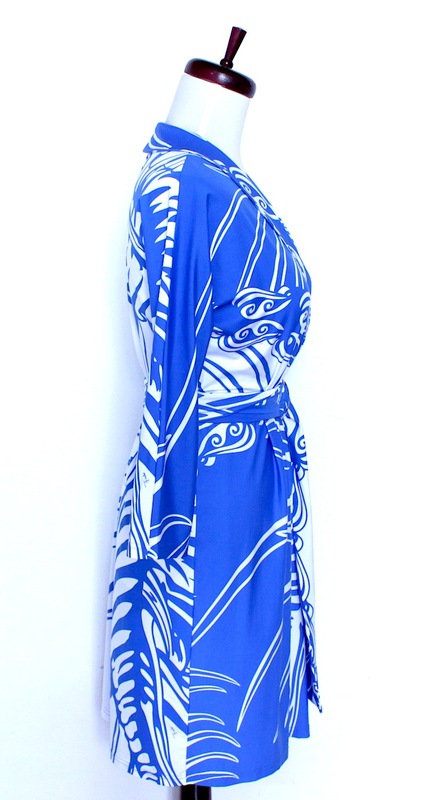 Tonal sash with D-ring buckle at natural waist. 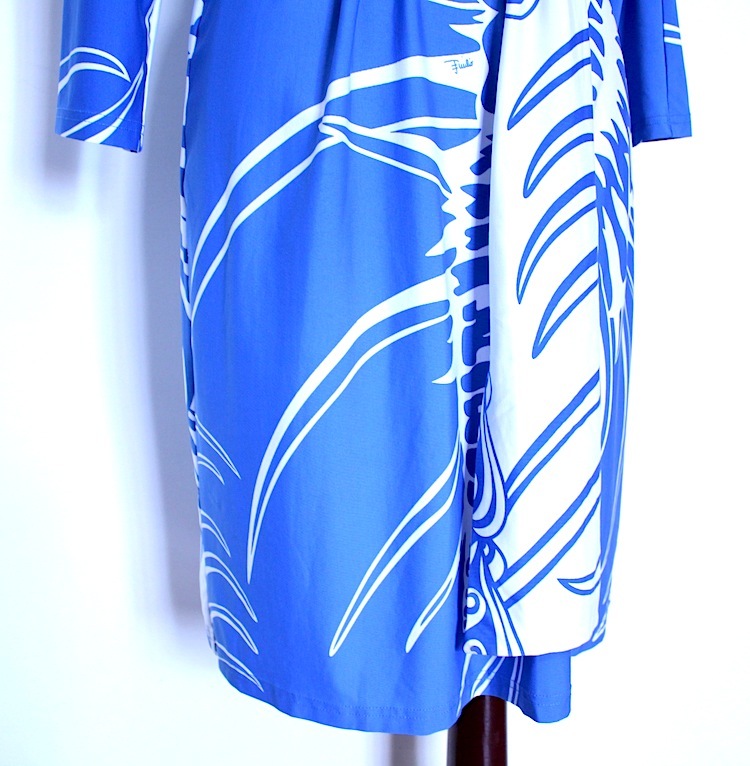 Pleated skirt; mock wrap detail.